LINCOLN, NEBR.- During the course of this year, 8 University of Nebraska-Lincoln students, as part of the Corn and Soy Collegiate Ambassador Program, are getting the chance to learn more about the agriculture industry and become better agvocates. The Nebraska Corn Growers Association and Nebraska Soybean Association launched the Corn and Soy Ambassador program to give students a comprehensive understanding of the industry. The program’s goals are to educate the students about state and federal policy issues affecting agriculture and about opportunities available by supporting industries like the Nebraska Corn Board, Nebraska Soybean Board and University of Nebraska-Lincoln Extension. Funding for portions of the program is provided by the Nebraska Corn Board and Nebraska Soybean Board. During the year, ambassadors take part in three seminars. One covers state and federal policies affecting the corn and soybean industries and one covers the role of checkoff programs in promoting corn and soybeans. They will also learn about the role of the university after college and opportunities that are available to them. This summer, the students will join with other students in Nebraska ag youth mentoring programs on a bus tour. Stops will include ag manufacturing, production and processing industries. During the course of the program, students dedicate their time to promoting the state’s corn and soybean grower associations and participating in check off promotional events. They can attend events such as the Nebraska State Fair or Husker Harvest Days. They must make reports about their experiences and what they’ve learned. The Nebraska Corn Growers Association and Nebraska Soybean Association would like to congratulate the graduating 10 members of the 2016 Corn and Soy Mentor class for a successful year. Seminar Topics – Seminar dates listed below are for planning purposes only. Schedules will be finalized after reviewing selected students schedules. Seminar topics are subject to change. 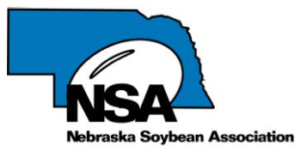 Representatives from supporting industries like the Nebraska Corn Board and Nebraska Soybean Board and others will provide an understanding of their roles in promoting the industry. Additionally, students will learn about advocacy opportunities these organizations provide. Students will gain an understanding of the legislative and leadership work of the Nebraska Corn Growers Association and the Nebraska Soybean Association. In addition, students will hear first hand from agriculture policy experts on issues (both State and Federal) that are important to agriculture. Students will join their peers involved with other agriculture organizations on a bus tour highlighting Nebraska’s agriculture industry. Stops will provide students first hand views of different sides of agriculture as well as highlight potential internship and job opportunities. The University of Nebraska-Lincoln Extension plays an important role of educating Nebraska’s agriculturists. Students will learn what services Extension provides in their local communities, and learn about programs such as the Nebraska LEAD Program and other opportunities that await them after their college days. Industry Promotion – During the course of the program, students will be required to attend and help at 3 promotional/education events for the Nebraska Corn Growers Association, Nebraska Soybean Association, Nebraska Corn Board, and/or Nebraska Soybean Board. Students can participate in existing opportunities like the Nebraska State Fair and Husker Harvest Days, or get creative and develop their own promotional opportunity. Students will also be asked to use their social media presence to agvocate for agriculture. This could be in the form of a tweet, Facebook post, or blog post. Job Shadowing Experience – Careers in the corn and soybean industry are abundant! Each student will have an opportunity during the mentoring program to job shadow a representative from a career field they are interested in. Reflective Reporting – Throughout the mentoring experience students will be asked to provide written reflective reports on what they learned and how they will grow from those experiences. Reports will need to be submitted for the 4 seminars, 3 promotional activities, and job shadowing experience. A blog post for Nebraska Corn kernels blog may substitute for one written report. Scholarship Requirements – to receive the $500 academic scholarship, students must complete all of the above requirements by November 17th, 2017. LINCOLN, NE – The Nebraska Corn Growers Association is pleased to announce the formation of a new scholarship program for future ag leaders in Nebraska. The Nebraska Corn Growers Association (NeCGA) will award up to 5 $2,000 scholarships to high school seniors or college freshman in the state of Nebraska. The NeCGA Future Leaders in Ag Scholarship Program (FLAGship Program) is open to high school seniors and college freshman who are continuing their education in state and pursuing a degree in an ag-related field. To be eligible for this scholarship students must be a member of NeCGA or the son/daughter of a NeCGA member. The application for the FLAGship Program must include two letters of recommendation, a current resume, as well as proof that the student is continuing their education. The students are also asked to explain why they are seeking a degree in the agricultural field as well as what issues they see the ag industry facing. Applications must be postmarked by December 16th, 2016. Packets can be mailed to 1111 Lincoln Mall, Suite 308, Lincoln, NE 68508 ATTN: Scholarship, or emailed to mwrich@necga.org. Recipients will be notified in February 2017 and scholarships will be distributed in May 2017. For more information about the scholarship and an application, please visit necga.org or call (402) 438-6459.